guilt ridden pop records GRP! 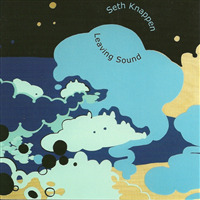 All songs written and performed by Seth Knappen. Duluth, MN, August 2002. Tracks 8,9 recorded by Seth Knappen at the Frogpond. Mastered by Tom Herbers at Third Ear Recording, MN. Alan Sparhawk provided additional percussion on track 4.